‘Tis the season and with all the hustle and bustle of baking cookies and visiting family and friends, Christian has rounded up eight fonts that can be used for any and all designs. These fonts are 100% free for commercial and personal use. 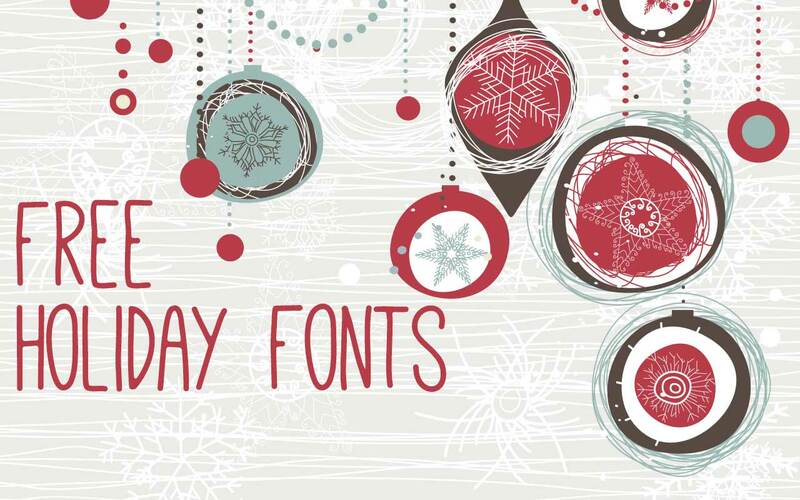 This thin, delicate typeface is perfect for the holidays with its assortment of ornaments, frames, and fun curled serifs. With drip-like swashes, Znikomit No. 24 reminds me of melting snow. This font also comes with an amazing set of alternates and ornaments. Mathlete is a thin, rugged hand drawn typeface. I’d imagine this is how a gingerbread man’s penmanship would look. This font has an air of Victorian elegance about it. 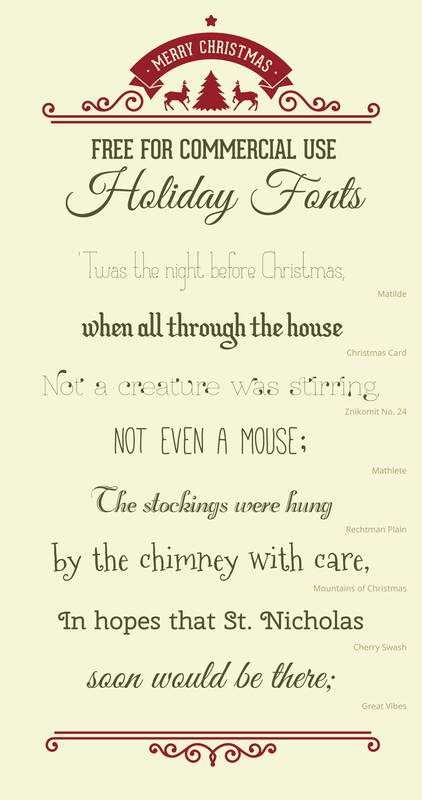 I love the cutouts and swashes — perfect for that Christmas Victorian design. I couldn’t leave this one off the list. It’s fun, quirky, and a nicely done handwritten typeface. The curly swashes of this remind me of the ends of a snow sled runner. This one is also easy to read and has some great slab serifs as well. Lastly, the swashiest font on the list, Great Vibes. This one makes me feel all warm and fuzzy with the elegant flow of swashes.